The experiences we gained while working in the medical tourism field have become a compass on our path. We regard our clients’ wish as the value and purpose of our company. Our commitment is to work hard continuously for our clients’ 3H (Hope, Humanity and Happiness). 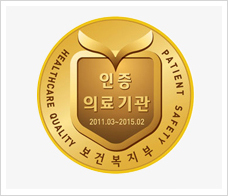 DocfinderKorea is a reliable medical tourism company certified by the Korean government. We are an official agency accredited by the government with business license, medical tour certification and insurance. We also maintain a close cooperation scheme with the Medical Dispute Mediation Committee and work hand in hand with the Ministry of Health and Welfare, Ministry of Culture and other government medical tour departments in order to grow to be the best medical tour company. DocfinderKorea does not own any hospitals. We maintain a network system with specialized and renowned hospitals which have the latest medical technology. Additionally we use the National Health Information database to evaluate hospitals, such as satisfaction rate and accident rate in order to recommend the most suitable hospitals to our clients. 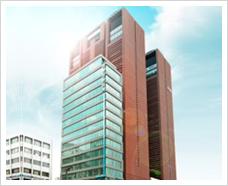 DocfinderKorea focuses on each client with greatest care and provides the most convenient service. As a young company all executive and customer service oriented staff members are passionate and ready twenty-four-seven to provide care to patients visiting Korea. DocfinderKorea has been introduced by the Korean press as the most recommendable company for successful medical tour.